Psych360 has signed a digital agency of record agreement with Moon and Owl Marketing. 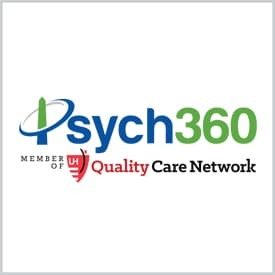 Psych360 delivers comprehensive psychiatric care to skilled nursing facilities and assisted living facilities in Ohio. Moon and Owl Marketing is providing marketing messaging and planning through The LUCID Process. Moon and Owl will also be delivering web design, content marketing, social media marketing, search engine optimization (SEO), and conference planning to foster Psych360’s expansion. “Moon and Owl is privileged to have been selected as the agency of record to help Psych360. The company delivers a needed solution for geriatric mental health in care facilities. We love helping companies grow that truly change someone’s quality of life,” says Jordan Fowler, President of Moon and Owl Marketing. Moon and Owl Marketing is a full-service marketing agency serving local and national clients from its hub in Fort Worth, TX.